Pioneer is the concrete system designed to bring the batch process into the 21st century. Powered by a PAC (Programmable Automation Controller), it is designed for control tasks that require industrial PC computing performance and a PLC’s robustness. Pioneer takes full advantage of PAC’s ruggedness, processing power, programmability, and network connectivity. Employees can access the system from anywhere, and from any device. ConcreteGo is a web-based management tool for ready mix dispatch operations. Key features include robust order tracking and scheduling, real-time truck demand, SMS messaging, customer order tracking, Google Map interface, and flexible item pricing. This software can integrate seamlessly with many batching, GPS, eTicketing, accounting, and QC programs to support all operational needs. ConcreteGO focuses on ease of setup, distribution to users, and simplicity so producers can focus on efficiency. iStrada is the ultimate mobile delivery management platform solution. 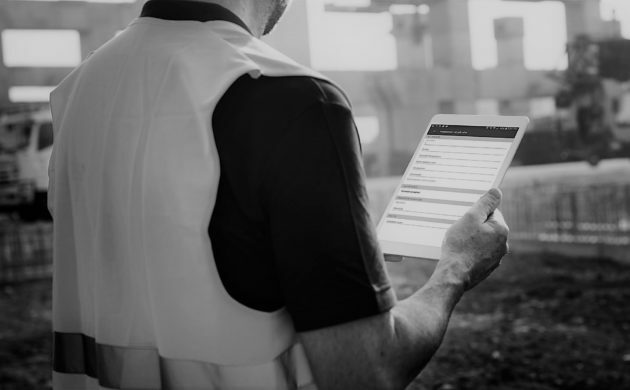 Designed for the needs of a range of industry professionals, including producers, contractors, truck operators, inspectors, and DOT officials, iStrada includes essential features such as GPS, E-Ticketing, and DVIR checklists. The Seek ‘N Feed controller is a flexible loading tool with several modes of operation. In automatic mode, the system constantly seeks bins to feed, keeping your plant continuously stocked with materials. The operator can also manually pair any ground bin with any overhead bin and assign priority to each overhead bin. The Hydro-Probe is a digital moisture sensor that continuously measures moisture in the flow of material across the ceramic sensor faceplate. The sensor has a scanning capacity of 25 times per second, which allows detection of rapid changes in moisture. Choose from a linear digital or analog output. Quicklink facilitates data transfers between ConcreteGO and Pioneer to Quickbooks. Customizable data transfers between programs allow businesses to sync customer, item, project, and ticket data for invoicing. It also supports credit code and credit limit management. Quicklink eliminates the need to enter data by hand, saving time and improving accuracy. The MRC-PRO Counter uses advanced technology to track mixer revolutions per minute and mixer direction. The counter will display the number of drum revolutions at speeds within the mixing range, as well as the total number of drum revolutions. The counter can also show current barrel RPM and total batch mixing time. Geotab has devices that provide the tools for "Management by Measurement," starting right in your vehicles. The Geotab GO8 is a small form-factor vehicle tracking device that simply plugs directly into your vehicle’s OBDII port. If your vehicle or truck does not have an OBDII, an adapter can be used instead. The installation process is quick, easy, and doesn’t require any special tools or the assistance of a professional installer. Sysdyne’s concrete production software solutions can serve a wide range of customers in the ready mix industry. Explore how our cloud-based platforms, backed by 24/7 customer support, can benefit the bottom line for producers, contractors, truck operators, and inspection agencies. We never stop improving. Since 1976, it has been our mission to transform the industry with leading-edge technology while providing unparalleled client service. In the increasingly competitive ready mix market, we know what it takes to earn the trust of our clients. Find true cloud-based solutions that improve operational efficiency at every stage of concrete production. We never stop improving. Our goal is to transform the industry with leading edge technology and provide unparalleled service to our customer. In this increasingly competitive market, we know what it takes to earn the trust of our clients and we are committed to keeping that trust. "We have used e-ticketing in a number of pilot programs, and have experienced increased efficiency and safety in these projects. Our inspectors can document on their tablets and not worry about paper tickets blowing away. They can see when a truck is assigned to their project and check actual batch weights before the truck arrives at the job site. It is clear that relying on paper tickets will soon be outdated."